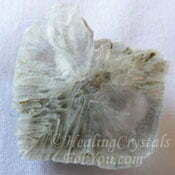 Novaculite are stones of enlightenment that may assist you to sever ties with the past, including old relationships. 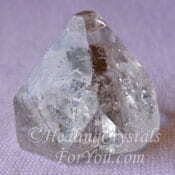 They can be used in meditation to enhance your intuition. They may help you to connect with angelic beings, and they make a good connection within the third eye and crown chakras, which may aid you to channel information from Spirit. 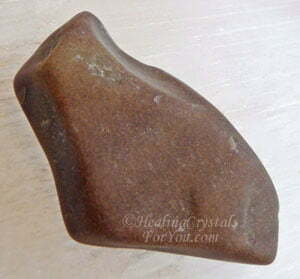 These stones have a number of other excellent metaphysical attributes, including helping you to find solutions to problems. Its vibration is also known to uplift and refine your life force energy and hone your Spirit. 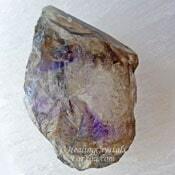 They are beneficial healing crystals for you to use, as they have some good healing properties, and are said to be able to be used for psychic surgery. 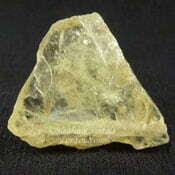 Novaculite is a specific variety of chert or flint that has an extremely high silica rich make-up. The meaning of its name comes from the Latin word 'novacula', said to mean 'razor stone'. 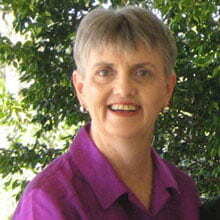 Their color may be white, red, pink, tan, various shades of gray and black. 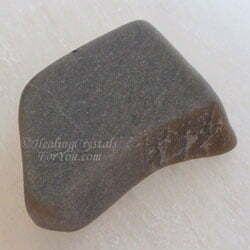 The look of these stones is not particularly outstanding in any way, and most pieces have a dull matte appearance. This stone is a type of sedimentary rock formed from microcrystalline or cryptocrystalline quartz, found in outcrops in the Ouachita Mountains in Arkansas. It has a strong and durable make-up, and this is related to the grain of the rock which makes it quite resilient and hard to break. It is also found in Oklahoma and Texas in the USA as well as in some other places in the world. It has been found in various parts of Europe, in the Ural Mountains in Russia, in Australia, Africa, Greenland, Bolivia and Brazil. But none of the locations outside of the USA are well known places for it to be found. In the Arkansas area, it has been in use for hundreds of years by local American Indian people, to make weapons and tools such as arrow and spear points. The stone is very resistant to weathering, so this made it easy for the local people of the area to find pieces of the stone. Later settlers in the area became aware of its effectiveness to sharpen tools, which was when it commonly began to be used to make oilstones and whetstones. These days the stone is most well known for its use to make whetstones, and large amounts of this stone is sold to buyers around the globe. It is well known for its use to create a sharp edge on a metal blade. 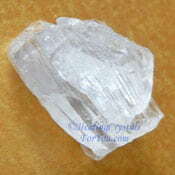 The name given to it is said to depend on the exact type of stone, as some has a higher luster and some is more porous. The fine grained very hard dense rock is known as Arkansas Stone and the more coarse grained and porous stone is known as Ouachita Stone or Washita Stone. Using It In Meditation... Why Would You Use Novaculite? 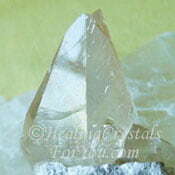 Like many healing crystals, the best way to use them is in a crystal meditation. 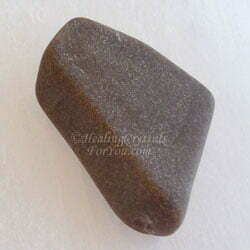 This stone has a deep resonance that can take a few minutes to have an effect, but once you connect with its energy you will appreciate its potency. Simply holding your stone in your hand and connecting with it, is the best way to first use them. Once you have connected, you can place it on the forehead near the third eye, to aid you to make a deeper spiritual connection. 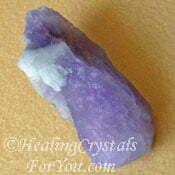 Once you link to the energy of these stones they can easily be felt at both the third eye chakra and crown chakra. They have a good action within all the chakras, helping to remove any energy blockages and to open and activate their energy. They are known as stones of enlightenment, as they resonate quite strongly within the higher chakras, and have a good action to activate this area and create a deeper spiritual connection. This connection may help you to broaden the growth of your intuitive gifts and aid a connection with angelic beings. Their action to stimulate the crown chakra area also helps to trigger the mind and may help to hone the intellect. This may create improved understanding and comprehension and may help to uplift and refine your life force energy and hone your Spiritual understanding. 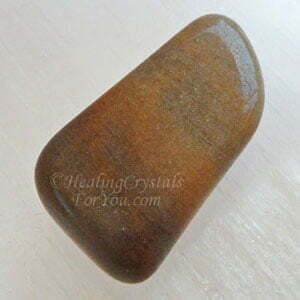 The energy of this stone may help you to make a connection with beings in the higher realms which may aid you to channel information that you require in order to solve problems. When you are in a close loving relationship with someone else, you make connections with your significant other by creating cords or karmic ties that make a deep connection between you. These cords may be created by one partner or by both, and occur on the etheric level, rather than on the physical. These cords can be positive, and are often the reason why couples seem to know exactly what is happening to the other person before it occurs. But these karmic ties are not always positive, and it is possible for one person in a relationship to use these cords to control their partner. In cases where one partner tries to control the other, and especially when domestic violence is part of the situation, cutting these ties will be helpful (for both parties) but may particularly help the person being dominated. When a relationship is over, it is definitely beneficial to cut these cords that bind you to each other. This also applies to friendships that have become toxic for some reason. 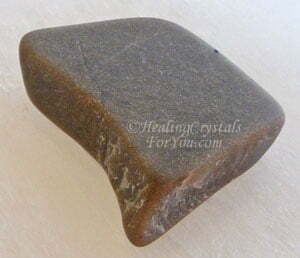 The easiest way to cut cords is to use one of these stones in meditation. 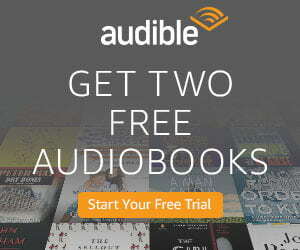 Note that you can sever the link to more than one person at the same time. Hold the stone at each chakra and visualize the cord that goes from you to the other person (or people). Then visualize the cord (or cords) being severed. If you are not sure if there are more cords that you need to cut, or if you have difficulty with doing this, call on the help of angelic beings or your spirit guide to assist with the process. The place where most cords first attach is at the solar plexus chakra, where cords will connect strongly to the network of nerves located in the stomach. 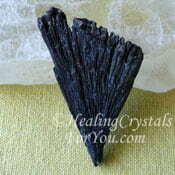 By attaching the two crystals together, this is said to be a very effective way to utilize it. 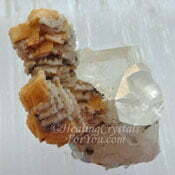 Alternatively, simply use a piece of Novaculite that has a point where the energy can be channeled through. For those who have a deep loving relationship, this may create a stronger connection within the heart chakra. If you have a strong loving sexual relationship, this can produce a deep connection within the sacral and base chakras. For this reason it can be beneficial to visualize the cords being severed at every single chakra to ensure they are all removed. This action may also cut through problems and may help you to more easily find solutions to situations that are concerning you. If a cord is cut it can reconnect, so it may be necessary to do it a few times to ensure your cords are properly severed. These stones may also aid those people whose work relates to doing personal services for others, and is said to attract more business to them and boost their profitability. It is said that it may also be used by writing what one desires on a piece of paper then placing this stone on the paper. This is said to attract to you things that you wish to sell, trade or barter with others. 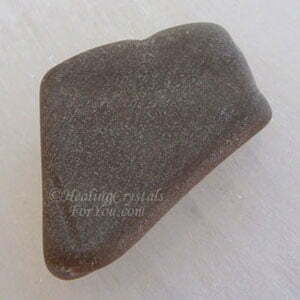 To bring an increase in their action to help you to attract and manifest those things you desire, combine them with Rhodizite Crystals as they help to boost the energy of other stones. They are said to bestow an energy of personal magnetism to the user and are known to bring a new way of looking at life. These new perspectives may attract a more adventurous outlook, and bring new circumstances and a desire to try new experiences into your life. These crystals have a number of beneficial healing properties, and are known as stones that can be used for psychic surgery. This is not something that the average person would use them for, and this aspect is best left to those who have experience as healers. They are said to aid the health of the nervous system and the lymphatic system, and their energy is known to assist with the removal of etheric blockages. This may aid the flow of natural electromagnetic energy within the body. Other ways that their energy is purported to assist you is to help to firm and tone the skin and may generally help with the structure of the skin. It is suggested that elixirs made from this stone be used as part of skin treatments, to boost its action to heal the skin. "Enlightenment is always there. Small enlightenment will bring great enlightenment. If you breath in and are aware that you are alive, that you can touch the miracle of being alive, then that is a kind of enlightenment." Thich Nhat Hanh. 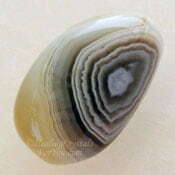 If you need extra help to aid you to find solutions, there are specific stones that you may combine with this stone, such as Ankerite, Botswana Agate or Cobaltian Calcite. 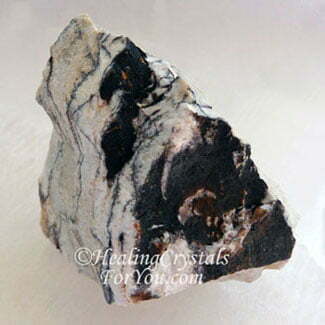 If you need more help to aid you to sever karmic ties, use this stone with Black Obsidian or a combination of Tunellite with Amblygonite, which has a good action to sever ties. 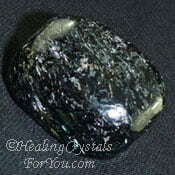 Hackmanite, Nuummite or Black Kyanite are also said to be helpful for releasing negative attachments and to aid you to cut cords or to sever negative ties. 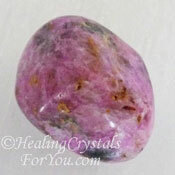 There are a number of excellent third eye chakra stones which you might choose to use them with. 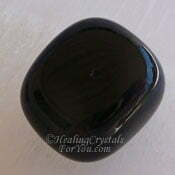 But combining this stone with stones that stimulate both the third eye and crown chakras may also be beneficial. 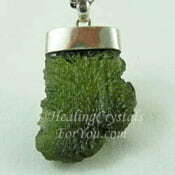 Specific stones you may choose includes Moldavite, Stellar Beam Calcite, Brandberg Quartz or Beryllonite. 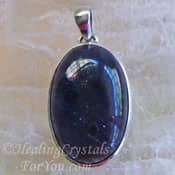 There are a large number of stones that will help to enhance your intuition, and many of these will work well in combination with this stone. 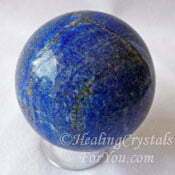 Lapis Lazuli is a stone that aids enlightenment and is also one of the specific stones to stimulate intuitive gifts. 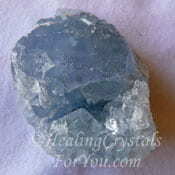 Other crystals you might use to boost intuition includes Apophyllite, Iolite or Celestite.